LONDON, UK – In the race to be first, Costa Coffee has launched a new social marketing campaign using Snap Inc’s wearable camera glasses, Spectacles, to give fans a teaser of the product before it launches in the UK. The campaign from AnalogFolk will take Snapchatters behind-the-scenes of its cafes to show how baristas make coffee from a first person perspective. What’s more, the Spectacles film in circular video which gives viewers the ability to rotate their phone to see more of the video. As such the coffee brand is expecting to see high levels of engagement from the social campaign, since it will be the first time a UK brand has given viewers a taste of what Spectacles can achieve. “For our customers and followers, we know there is an appetite to experience new ways to enjoy coffee and they’ll be intrigued to watch their favorite coffee being made from the perspective of a Costa barista,” said a spokesperson from Costa and AnalogFolk. The new creative content series will air on the company’s Snapchat channel, Costacoffeeuk. The coffee company will not be extending the content to channels beyond Snapchat as it is difficult to take Spectacles-filmed content outside of the Snapchat platform, the company said. The brand launched on Snapchat last year as a way to tap into its primary audience – workers in their 20s to 40s – on a platform where over half of new users are over the age of 25, and 43% of UK users are parents, according to 2016 Snapchat statistics. “Snapchat is one of the fastest growing social platforms outside of Facebook, Instagram and Twitter,” the spokesperson said. “It makes sense for us to take this step with Snapchat and broaden our content offering to this first-person Snap Spectacles perspective. While the coffee maker said it was keen to use Snap Spectacles again for relevant campaigns, it warned that brands need to be smart when it comes to new opportunities with social media and “only apply new formats that are relevant to their audience”. Snap Spectacles launched in the US in September last year, the company’s first foray into hardware products, asserting itself as a camera company first and foremost. 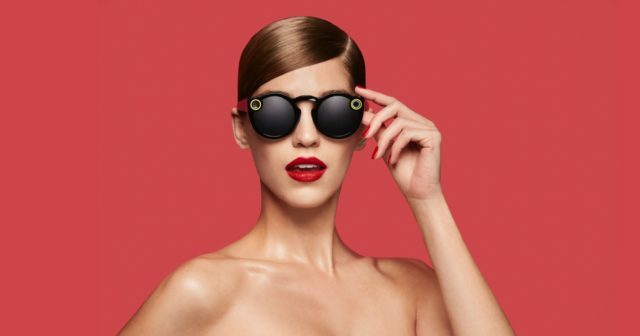 As part of the launch, the company rebranded to Snap Inc.
After teasing the video-recording product with a ‘Snapbot’ vending-machine to a select number of locations in the US, in February the company put the glasses for sale online in the US, and announced plans to “significantly broaden the distribution of Spectacles” globally in 2017.